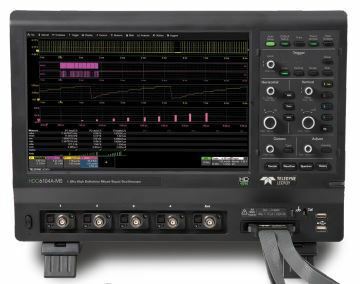 The WaveRunner 9000 Series Digital Oscilloscopes advanced waveform viewing and measurement tools as well as powerful math and analysis capabilities seamlessly integrates in a single user interface. Time saving shortcuts and intuitive dialogs simplify setup and shorten debug time. With advanced tools such as Jitter & Timing Analysis, Wavescan Labnotebook Documentation & Report generation, History Mode as well as Digital Filtering, Spectrum Analysis and a Comprehensive set of Serial Data Analysis, Debug, Validation and Compliance Tools, its the most comprehensive test instrument on the market. The Teledyne LeCroy WavePro HD High-Definition Digital Oscilloscopes employ unique HD4096 technology to achieve 12-bit resolution at up to 8 GHz bandwidth, for the lowest noise and unmatched signal fidelity. Up to 5 Gpt of highly responsive acquisition memory gives more visibility into system behaviour, and the exceptional analysis toolbox enables deep insight. The HDO6000A High Resolution Digital Oscilloscopes combine Teledyne LeCroy’s HD4096 high definition technology with powerful analysis and debug tools, long memory, in a compact form factor with a 12.1” multi-touch display. The HDO4000A High Definition Oscilloscopes combine Teledyne LeCroy’s HD4096 high definition technology with long memory, powerful debug tools, and mixed signal capability in a compact form factor with a 12.1” wide touch screen display. 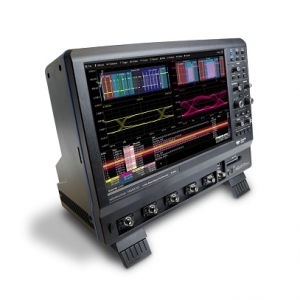 The HDO8000 Digital Oscilloscopes have eight analog input channels, 12-bit resolution using Teledyne LeCroy’s HD4096 high definition technology, and up to 1 GHz of bandwidth. They are ideal for debug and troubleshooting of high power three-phase power electronics, automotive electronics, and deeply embedded or mechatronic designs. 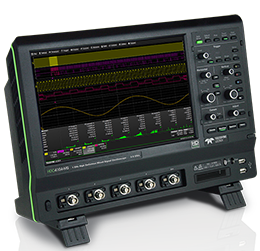 The HDO9000 Series High Resolution Digital Oscilloscopes expands the High Definition Digital Oscilloscope range with outstanding performance familiar with the Teledyne LeCroy brand. A critical element of the HDO9000 is HD1024 technology which provides 10 bits of vertical resolution at 4 GHz bandwidth. As with all members of Teledyne LeCroy’s HDO family, the HDO9000 utilizes an exceptionally low-noise system architecture that delivers a clearer and crisper display and utilising the MAUI one-touch user interface makes measurement and setup insanely easy.